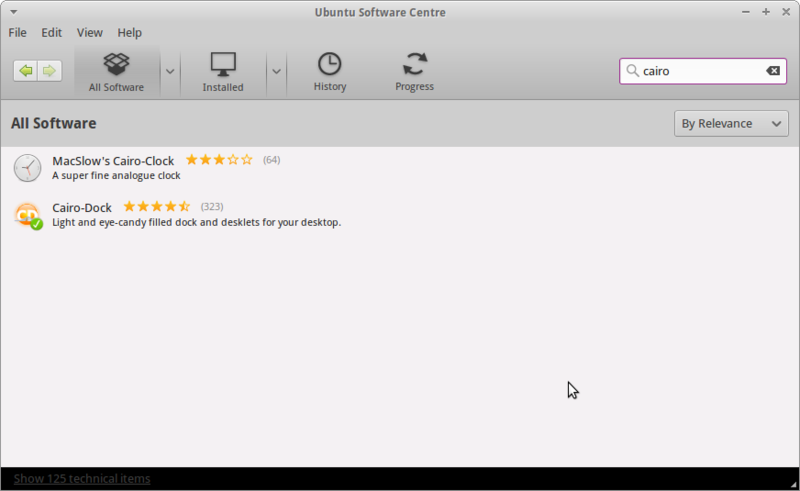 It has been just over a year since I last reviewed Xubuntu, so this review is well overdue. Xubuntu has been one of my favourite distributions for a long time and for a number of very good reasons. Xubuntu comes with the XFCE desktop environment which means that it is lightweight and highly customisable. What I also like about Xubuntu over some of the other XFCE based distributions is that it doesn’t overload you with applications. You get just enough to cover the bases but it is then up to you to install what is important for your needs. 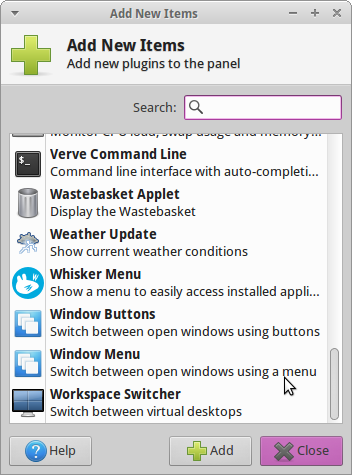 Finally, I also like the fact that Xubuntu has two panels. Oh wait a minute. 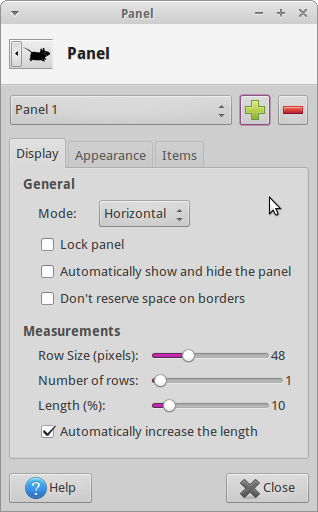 The latest version of Xubuntu doesn’t have two panels. It does however have an improved menu system. Not to worry though, I will show you how to put the other one back in and actually this leaves scope to install another dock that I really like, Cairo. You can download Xubuntu by visiting this link. 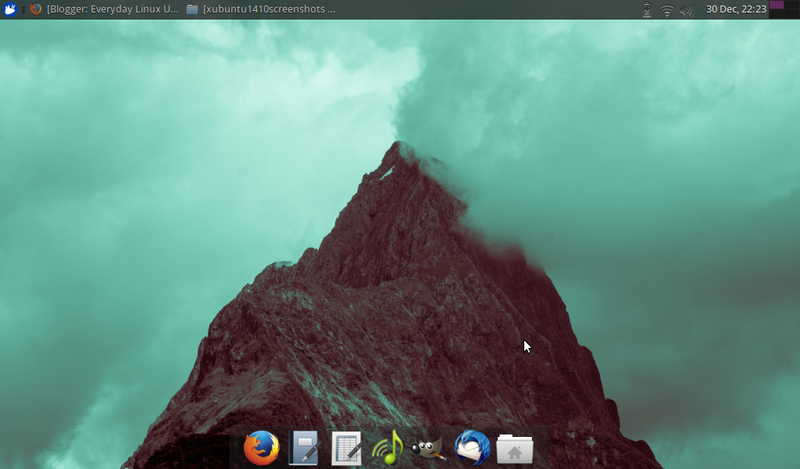 There are two versions available, Xubuntu 14.04, which is the LTS release and Xubuntu 14.10 which is the one that I am reviewing in this article. I have written a guide showing how to create a persistent Xubuntu USB drive using the downloaded ISO image. I have also written a guide showing how to install Xubuntu to your hard drive. Alternatively, Click here to buy a Xubuntu USB drive. The XFCE interface that comes with Xubuntu has been greatly simplified. There is now just a single panel at the top of the screen and a handful of icons on the desktop. In previous versions there used to be a second docking panel at the bottom of the screen which included launchers to commonly used applications. This is no longer there. The top panel has a single menu icon in the left corner and in the right corner, icons for power settings, network settings, audio settings and the all important clock. The new menu has a really nice user interface with a search box at the top, a list of categories to the right and the applications listed in the main panel to the left. The items in the menu change depending on the category that you have selected. By default your favourite items are shown. You can add items to the favourites menu by right clicking on them and selecting “add to favourites”. 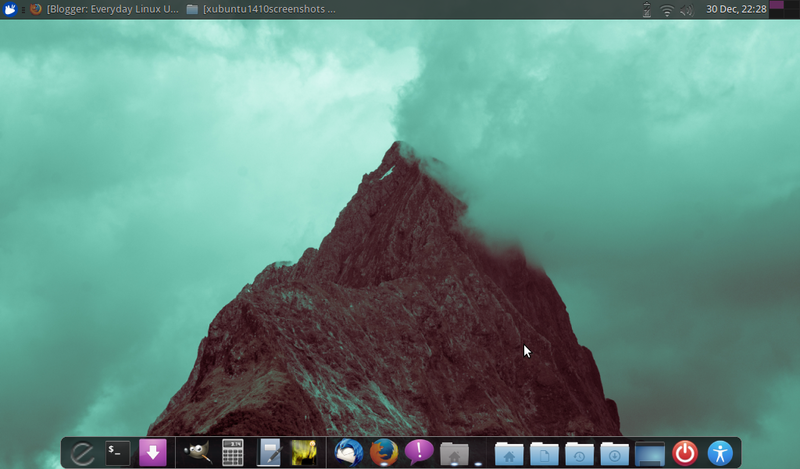 I have a full article lined up about how to customise Xubuntu and so I’m not going to go too far into it here but needless to say that the XFCE desktop makes Xubuntu the perfect playground for people who like to pimp their distro. Lets start with a few basic things. First of all changing the desktop background is simply a case of right clicking on the desktop and choosing “Desktop Settings”. 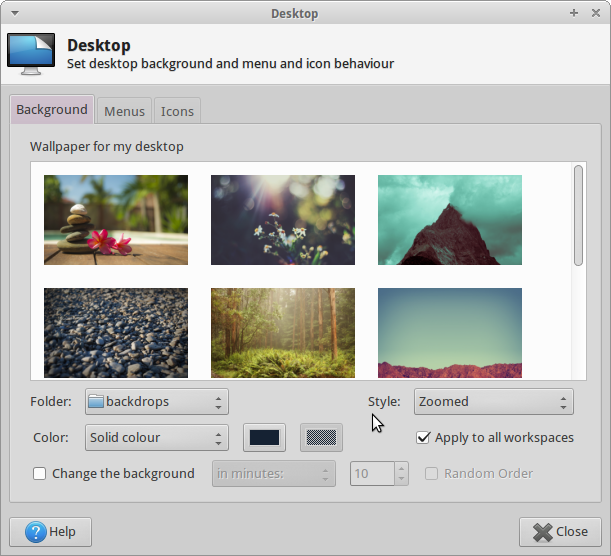 There are a number of nice stock photographs included with Xubuntu 14.10 but you can also choose to have a plain colour or one of your own images. To choose one of your own images click on the folder dropdown and change it to the location where your background image resides. Alternatively copy the background image to /usr/share/xfce/backdrops. Another thing you might wish to change is the number of icons and the type of icons that appear on the desktop. Click on the icons tab from within the desktop settings screen. From the icons tab you can choose the size of the icons and the default desktop icons such as file system, wastebasket and removable devices. Scroll down to the bottom of the list and click on “Workspace Switcher” and then “Add”. The workspace switcher will appear after the clock. You can move it along a bit by right clicking on it and selecting “move”. 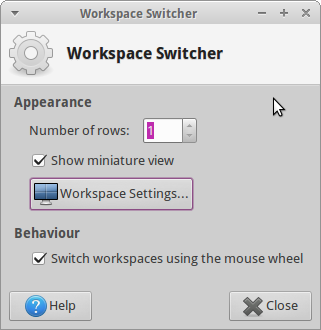 There is currently only 1 desktop active within Xubuntu so to make the workspace switcher useful right click and choose “properties”. Click the “Workspace Settings” button and from the window that opens increase the number of workspaces to the amount you require. When you get back to the properties window increase the number of rows and click close. Finally lets deal with the missing panel. Right click on the top panel and choose “Panel -> Panel Preferences”. To add a new panel click the plus symbol. A new panel will appear as a little box. Drag the panel down to the bottom of the screen. Change the mode to “Horizontal”. Adjust the row size, set the length and check the “automatically increase the length” checkbox. I always set the length to a value shorter than required so that it expands automatically. Click on the items tab to start adding items. For me, the point of the 2nd panel is to add launchers to my most commonly used applications. You can add new items to the bottom panel in the same way you added a new item to the top panel. An alternative to adding another XFCE panel is to install cairo-dock which gives your desktop an altogether different look and feel. Connecting to the internet using Xubuntu is fairly straight forward. Click on the network icon in the top right corner and choose the wireless network you wish to connect to (unless you wish to connect via ethernet cable in which case just connect up and go). Nothing has really changed with Flash and MP3 settings within Xubuntu (or Ubuntu) since the outset. During the installation stage you have the chance to check a box that enables you to play Flash videos and MP3 audio. If you chose not to check the box during the installation stage, you will still be able to install the Xubuntu Restricted Extras package. Flash is a bit of an issue now within Linux as no further updates are released for it. The best way to overcome this is to install Google’s Chrome browser. Flash will hopefully become a non-entity in the future. As mentioned during the introduction. Xubuntu has enough applications to get you started and then it is up to you to install anything else you need. The applications are lightweight and responsive which makes Xubuntu great for older hardware and netbooks. If you use office tools for writing letters and keeping budgets then Abiword and Gnumeric will suffice. If you need more functionality then you will need to install something like LibreOffice. You won’t find a better image editor for Linux than GIMP and I find it interesting that this application is included because it isn’t at all lightweight in nature. Thunderbird is one of the best email clients available for Linux and Firefox is arguably the best web browser. 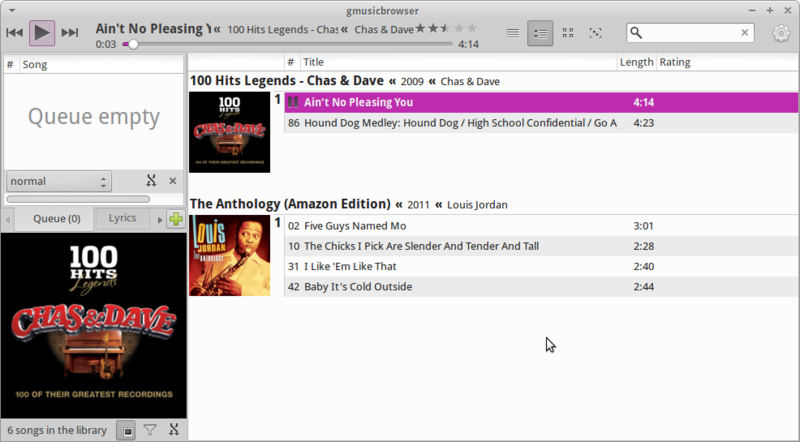 I really like gmusicbrowser as an audio application. It is uncomplicated and basic and it has a nice feature that lets you change the look and feel so that it looks like many of the other audio players you may have used including iTunes, Rhythmbox and Exaile. 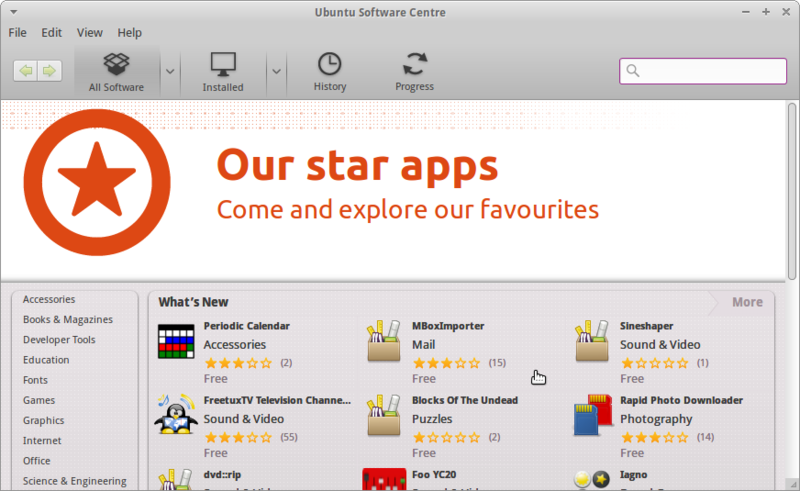 To install further applications within Xubuntu you can use the Software Centre. The software centre has a list of categories down the left and a list of new and top rated items. The most useful part of the interface is the search box. Enter the name of the application or a keyword to describe the application in the search box to reveal a list of results. 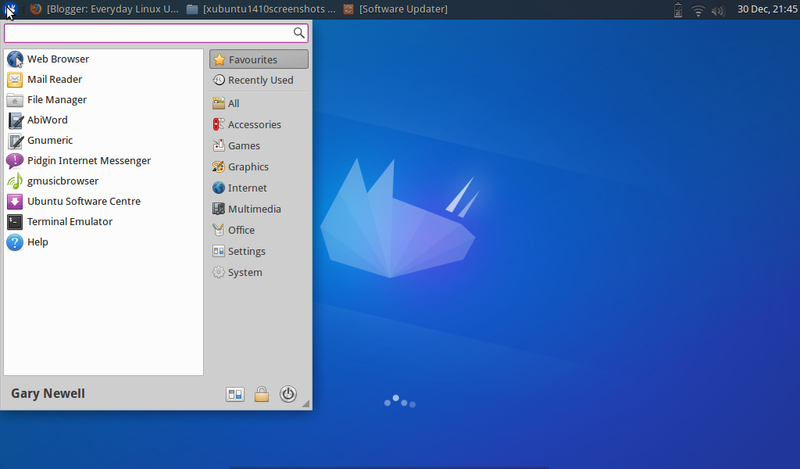 The release notes for Xubuntu 14.10 can be found here. I have been using Xubuntu on one of my laptops since October and I can honestly say that I haven’t seen any nasties. Xubuntu just keeps rolling on really. If you are looking for a distribution to customise or something lightweight then there aren’t any other distributions that I would consider before Xubuntu. I don’t like the fact that the bottom panel has been removed and I instantly put it back again. (Hardly a reason for me to consider using anything else). 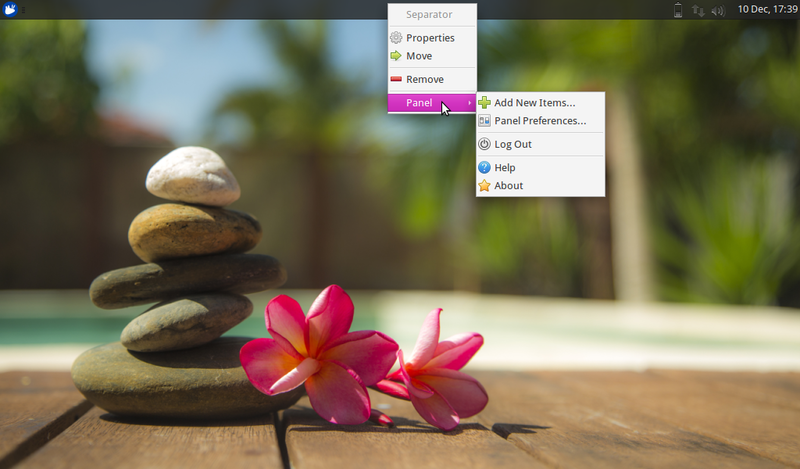 If you want to get serious work done then with a bit of customisation Xubuntu will stay out of your way. If you want to jazz your desktop up then Xubuntu lets you add all the glitz and glamour you require. Xubuntu works great on old and new hardware. I have nothing at all bad to say about Xubuntu. It is still one of my favourite distributions. I just wanted to clarify for anyone unfamiliar with the situation with Flash for Linux. The NPAPI plug-in for Linux is currently in maintenance mode by Adobe. That means that no feature updates will be applied to it, but security updates will. The PPAPI (Pepper) plug-in is in full update mode, but is maintained by Google through an agreement with Adobe. Only Chrome/Chromium supports PPAPI. Chrome comes with the PPAPI Flash plug-in. There is a package in the Ubuntu repositories that will install the PPAPI Flash plug-in for Chromium by downloading Chrome, extracting the plug-in, installing it for Chromium, and tossing away the rest. Mozilla's solution for dealing with the impending end of the NPAPI Flash plug-in for Linux is to develop Shumway, a Firefox extension for Flash files rather than to institute another plug-in architecture. According to them, instituting yet another plug-in API is counterproductive to a standardized Internet. How ready Shumway will be for regular use when support for the NPAPI plug-in ends completely is open to speculation. Of course, as Gary alluded to in the article, there is a general hope that all the functionality provided by Flash will be provided by default by alternative means soon. That this is intended to take place is supported by the fact that most versions of Flash that Adobe developed have been discontinued with the exceptions of the Internet Explorer version and the NPAPI versions for Windows and OS X. All PPAPI versions are maintained by Google. Thanks for the comment. I will see what I can do with the taglines. 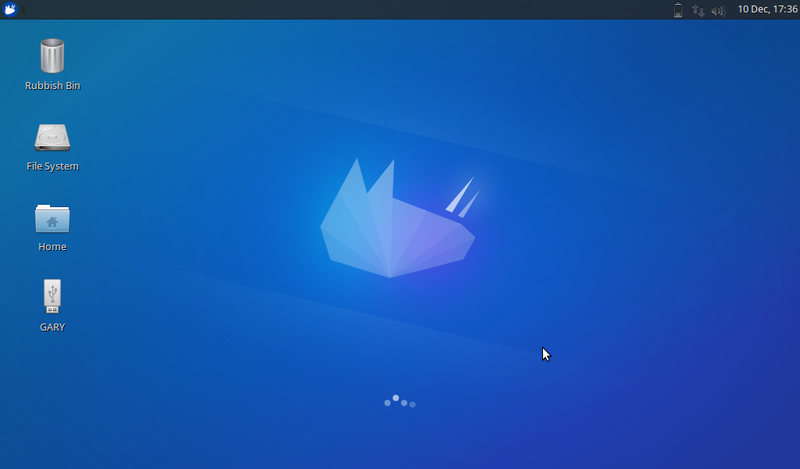 Xubuntu is a great distro however I cannot understand why the 64-bit version doesn't come with all the good apps preinstalled rather than the lightweight ones of the 32-bit version. Any new machine would have enough memory for all that. Finally, why not Synaptic? I find it very useful and it's a big omission. Keep up the good work.